Small business owners must make decisions every day concerning how they operate their business. This can include decisions regarding the mix of products and services to offer, how to price, advertising methods and customer service policies, among other decisions. Unfortunately, many times small business owners have to make these decisions without having sufficient information. Sometimes small business owners do not realize they are missing critical facts when they make their decisions, facts that will significantly impact the results of those decisions. While it is impossible to know everything, you as a small business owner can take steps to find and use this critical information. Conducting thorough market research can help you obtain information you need to make better decisions concerning how to run your business and to reduce mistakes that could significantly hurt your business. One major area you need to examine is what is happening in your industry. 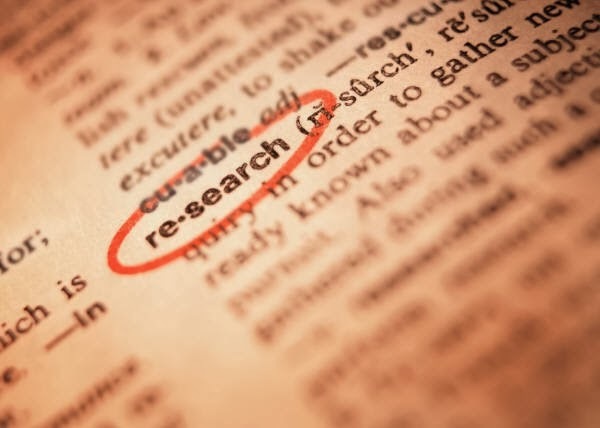 Research can tell you whether the overall industry is growing or declining, reveal changes in customer attitudes and habits, make you aware of potential regulatory issues, show you changes in products and services available to customers and identify new players in the market, among other significant trends. As an example, wouldn’t the owner of a gift shop selling gourmet food items and considering e-commerce need to know if trends showed more and more customers are making these types of purchases online? Research regarding customers can help you better understand what type of person purchases your product or service. You will be better able to describe your ideal target customer in relevant terms, which may include age, gender, ethnic group and income level. Information also is available about customer lifestyle habits and preferences that can give you surprising insight into their wants and needs. In addition, you can learn about their sensitivity to price changes, frequency of purchase and how much they spend. Once you can better identify your targeted customers, you can find more accurate information concerning where they are geographically and in what areas their number is growing or declining. Wouldn’t the owner of a mobile car detailing service trying to expand her business want to know if the population was significantly growing in a nearby zip code where residents fit the description of her targeted customer? Many small business owners do not realize the extent of the competition they face in the marketplace and the effect it is having on their sales. It is critical that you identify what alternatives your customers have to buying from you. In addition to spending their money with obvious direct competitors, their dollars may be going to alternatives you have not even considered. Research can reveal the true number of competitors you have, their strengths, weaknesses, policies, marketing methods and more. You can use this information to compare your business to your competitors and help you determine and sharpen your real competitive edge — the thing that could motivate potential customers to spend their money with you instead of your competitors. Wouldn’t the owner of a day care center offering transportation services want to know if no other centers in the area offered transportation? Small business owners need to know how targeted customers really perceive the business. You may know what message you are trying to convey and how you would like your business to be perceived, but that may not be how your customers actually see you. Conducting surveys of your existing customers can really open your eyes and give you valuable insight into how you can improve your relationship with them and increase sales. Wouldn’t a business owner who is developing a promotional campaign and believes he is selling health enhancing products to people who want to be more healthy need to know that his customers actually buy from him because the products improve their skin and they really see his business as a skin care business? Available information about your market can improve your decision making process and could significantly improve the performance of your business. Your local small business development center office can provide assistance with conducting and using valuable market research to improve your business.